As part of the campaign we are pleased to announce the sponsorship of 2 HeForShe tickets to this year’s AES Mastering Conference. The tickets include full access to the conference plus lunch for both days and a wine reception on the 22nd. 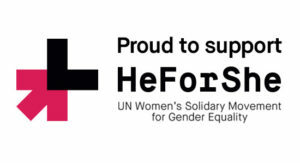 These HeForShe tickets are available to female and non-binary students or professionals who are seeking a career as a mastering engineer, or in an affiliated industry. If you are interested in applying please send a short statement (maximum 400 words) on why you feel attending this event will benefit your career to info@aes-uk.org by the 31st July.